Only the best quality fruit makes the grade for our juices. We squeeze or press it when it’s perfectly ripe and at its tastiest. Concentrating the juice reduces the amount we transport, which means it’s better for the environment. We replace the water later, then pasteurise the juice so it keeps for longer, making it a great cupboard filler for all of the family. 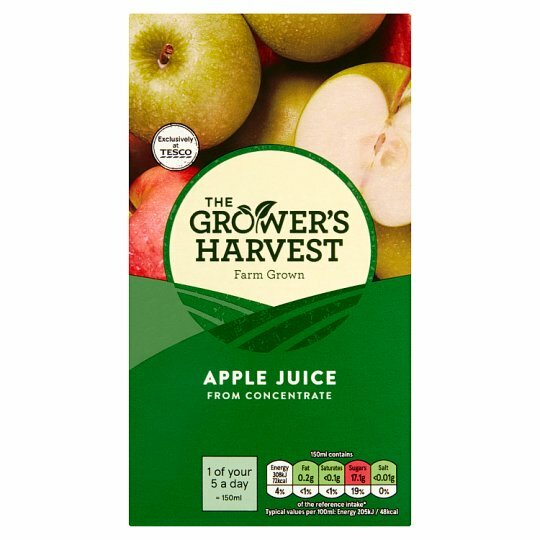 INGREDIENTS: Apple Juice from Concentrate, Citric Acid.